After a grumpy chemo session and leaving the ITA later than we planned, we decided to go out to dinner. I got the all clear for sushi last Monday, but we had not managed to have a sushi feast yet, so Monday after chemo I finally got my chance. 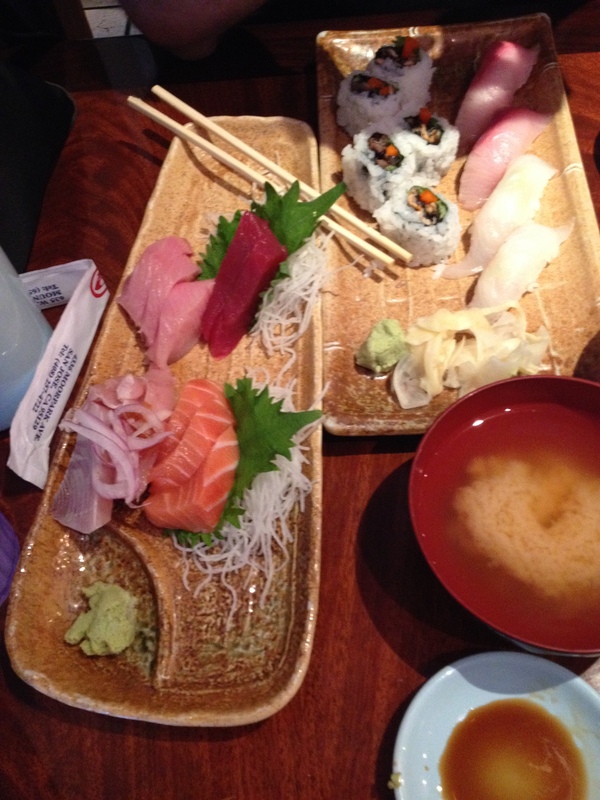 Unfortunately, my favorite sushi/sashimi place isn’t open on Mondays … however, our second choice was pretty decent and met the craving. My other challenge was in taking supplements. I don’t take that many prescription pills anymore, but I “should” take a few supplements that might help with blood counts and neuropathy. I got a message from my oncologist office that there is no clinical evidence to suggest that the supplements actually make a difference but there is no harm in taking them either, and heck, if the placebo effect works then way not. The challenge is in taking them – I hate opening too many pill bottles at once, and I forget. So I went out and bought myself a fancy am/pm pill case. That way, I can fill in a weeks worth of morning and evening pills (the only regular prescriptions I take are either when I wake up or before I go to bed), and I split my supplements across the two, so I’m not taking too many pills at once. 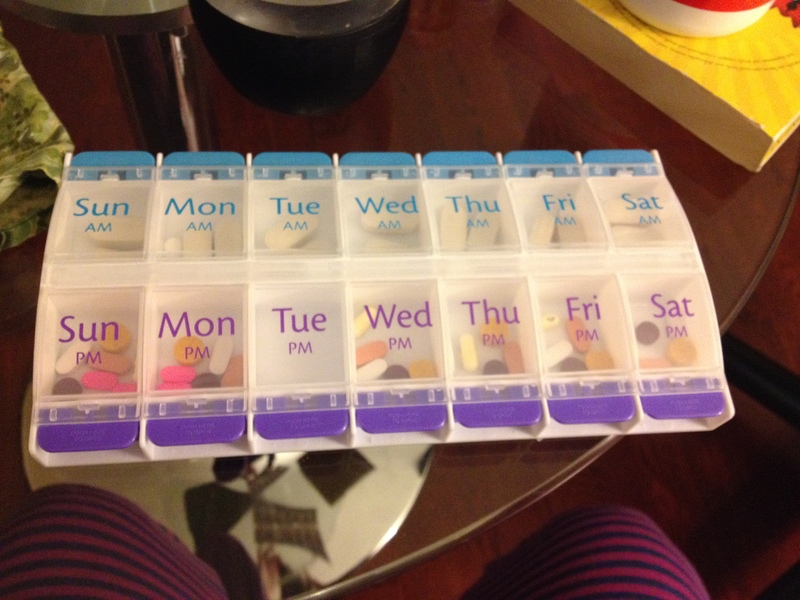 Here is hoping that my sorting them out once a week makes it easier for me to take them. I figure it will work for at least a week or two, while the idea is novel. I’m now 1/3 of the way through Paclitaxol and 2/3 of the way through chemo (yay) … weekly chemo is certain proving to be more mentally taxing than biweekly chemo. Paclitaxol is also a longer treatment (12-cycles) which is also proving to be more difficult to mentally grasp. With AC it was only 4-cycles, so easier to celebrate and count down as things completed. Paclitaxol just seems to be long journey. Coding notes: I coded Coping Mechanism because of both the going out to a nice dinner (small celebration), and the pill organizer. I coded Learning about the disease because I shared about the advice on supplements, but also mention the 12 week taxol cycle. I also listed mental health because I talked about the mental difficulties I was having with visualizing the end.